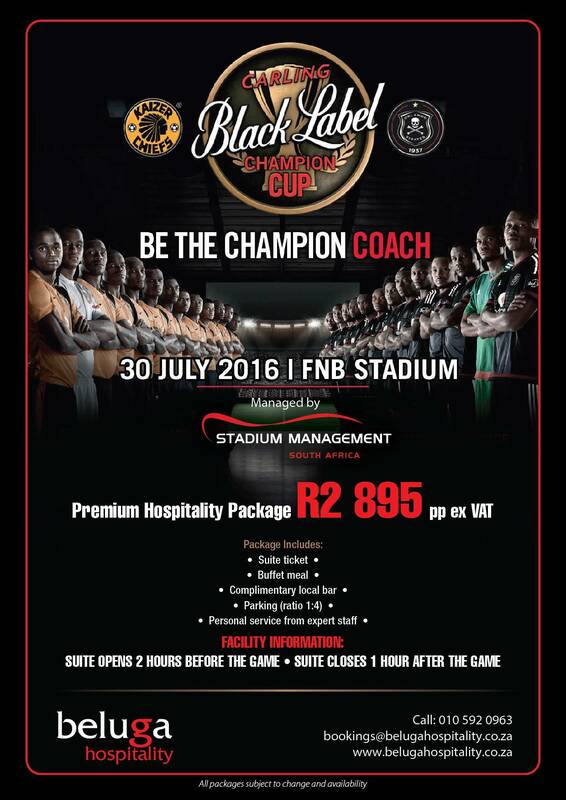 The Carling Black Label Cup’s pre-season competition will be played at the FNB Stadium on July 30. The Buccaneers have claimed the competition four times, whereas Amakhosi have only won it once. This is the second time Steve Komphela and Eric Tinkler will be playing the competition as head coaches of the Soweto giants. However, as it is with the competition rules, the two coaches won’t be fully in charge of their teams with one lucky fan from each team taking the head coach role on the day. Oupa Manyisa who has been out due to an ankle since last year is hoping the fans will make the game more entertaining again and Pirates will win the trophy for the fifth time. Book your hospitality tickets today – this is your day and players will be listening to your instructions.